Here at Tree of Hearts, we have created a four-part series to help you find your 'something old, something new, something borrowed, and something blue'. Many brides see 'something borrowed' as the hardest section to fill. However, it can also be the most meaningful. The 'something borrowed' tradition represents borrowed happiness, with items usually being borrowed from a friend or relative who is happily married. It's a great way to treasure those closest to you. Here are our favourite 'something borrowed' ideas! 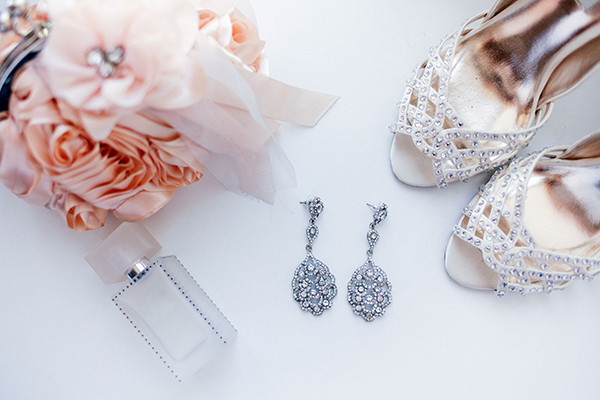 As with something old and new, accessories make a great 'something borrowed'. From veils to nail polish, the options are endless! Jewellery makes a fantastic choice, as it tends to have more sentimental value than other items. Think about what your close relatives, like your mother or grandmother, wore on their special day, and ask if you could borrow it. They will be so touched when they see you wearing it! Just make sure to keep any borrowed accessories safe. As your wedding dress probably won't have pockets, you will need somewhere to store all your wedding essentials. 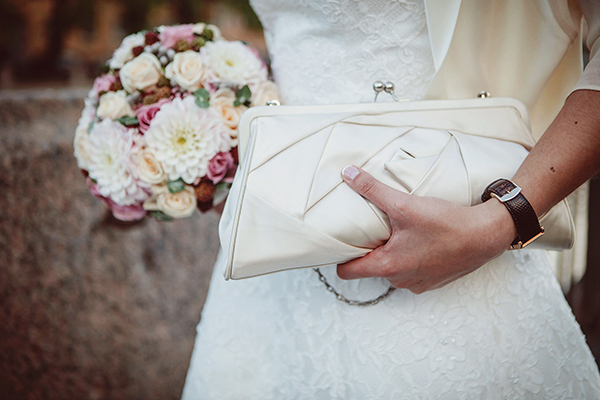 If your friend has recently married, borrow their wedding clutch bag to store all those little extras you can't leave behind, like your lipstick and phone. This is also a great place to store 'emergency' items, like hair pins, tissues, and make up, ensuring you look amazing all day long. 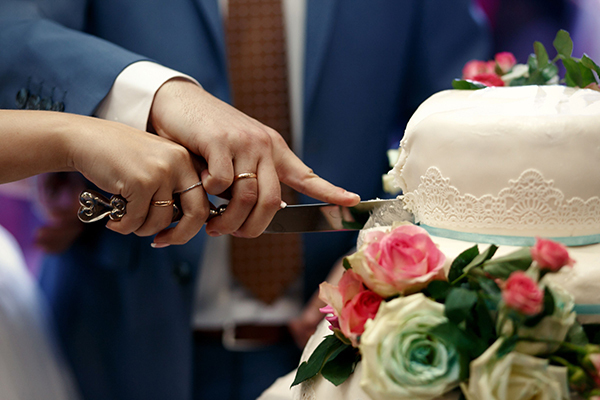 Cake knives, while seeming like an odd choice, are actually a popular item to borrow. Using the cake knife and server that a happily married guest used at their wedding signifies that you will follow in their good fortune. Plus, every bit of money that you save can go towards your honeymoon instead! 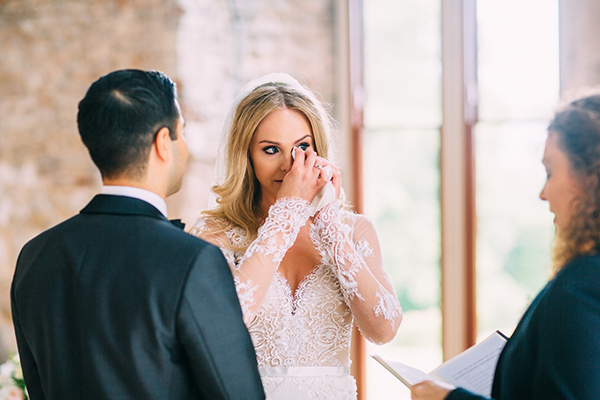 A handkerchief may be needed on your wedding day to wipe away happy tears. Who better to borrow this off than your dad? 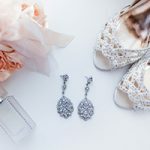 Borrowing something from your dad on your special day can be extra touching for you both, as your 'something borrowed' usually comes from your mother. Likewise, your grandfather's pocket-watch also makes a lovely accessory to carry with you. It will bring a touch of vintage charm to your day. Who says that men can't be involved in wedding planning? This one is a bit more unusual, but still a great idea. 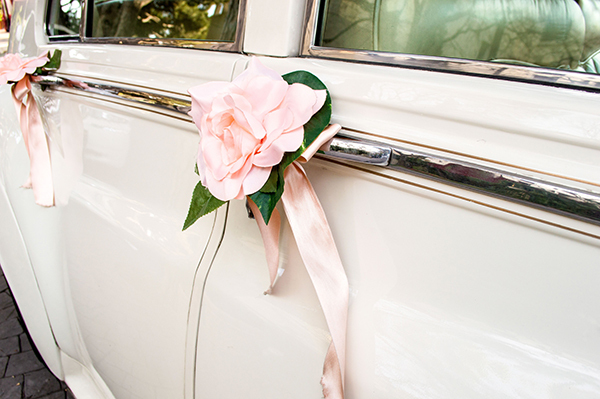 If a friend or family member has a classic car, ask them if you can borrow it for your wedding. It's a great addition to a traditional theme, and looks amazing in wedding photographs, too! This is another way to save money, as wedding cars can be very expensive.